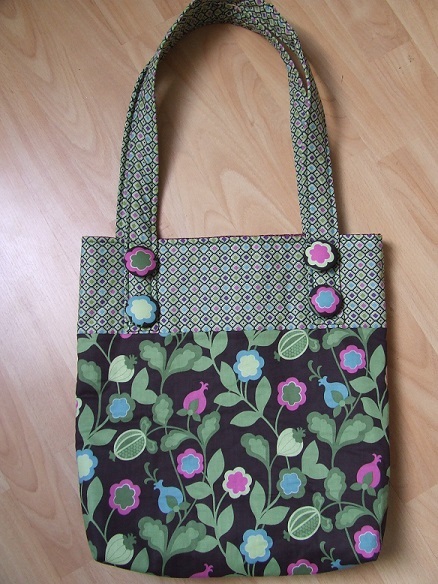 and a bag that I made 'just because' I fell in love with the fabric combination at the show Scatty and I went to earlier in the year. Both patterns and fabrics were from Cross Patch, a shop run by a running buddy of mine. Both super items, Tina: don't know how you get the time to do all this, what with work, family, running etc. See what you mean about the fabric combination on the bag. Lovely, the bag is smashing. lyndaejane wrote: Both super items, Tina: don't know how you get the time to do all this, what with work, family, running etc. See what you mean about the fabric combination on the bag. ah, that's easy! Sunday afternoons, when all the laundry is done, and Friday nights after my run, when the girls are at Badminton and Phil is out running. 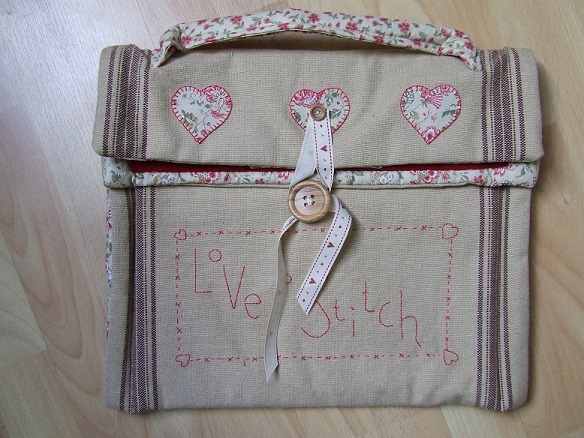 Most of the stitchery for the satchel was done on a Monday night at craft club. Where there's a will and all that, it's very therapeutic crafting of any sort, but i find sewing very relaxing, when it goes right! They are lovely and very neatly made Tina. 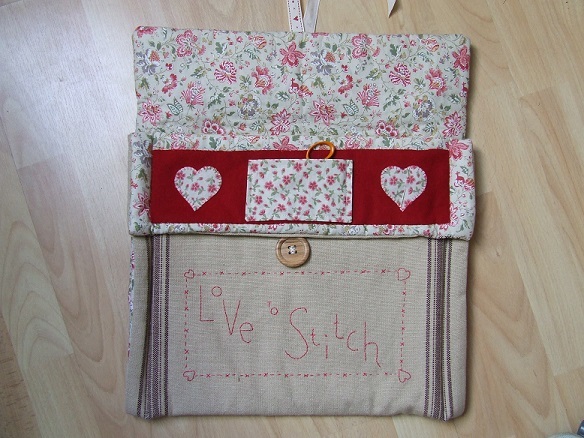 What with you and the sewing bee that I watched last night you're getting me all distracted. Ooooh, they're smashing Tina. Love that satchel hun. They're both lovely bags Tina. They turn out super Tina.